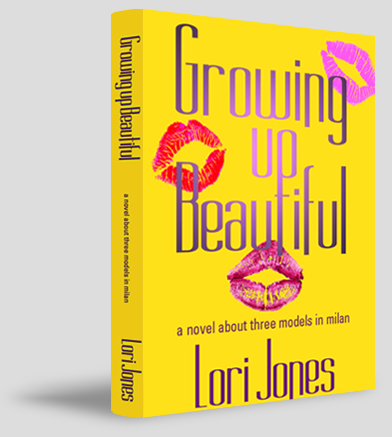 If you love reading novels about models and the “realities” of what their lives could be then I highly recommend Growing Up Beautiful and the sequel; The Beauty of a Second Chance. The book follows three girls, all on their way to start their modelling career in Italy. Set in the mid 80s, we see Star, Joanne and Casey board a plane bound for Italy, in the hopes of making it in the world of modelling. They are all beautiful of course, but all three come from different backgrounds and with different personalities. Star is a brash ex-waitress, who has well, stars in her eyes and her main aim is to make as much money as possible. Things however don’t go as planned and instead she ends up on a different path. Joanne comes from a well-to-do family, who has her future all planned out for her. She skips town to try and make it on her own, even if it meant that it’ll be for a short while. She is the oldest out of the three girls but has a good head on her shoulders. Always cautious and always having to listen to what her parents want for her, having that independence suddenly sees her taking chances with her future. Finally Casey, the more sheltered and timid of the two. Her journey wasn’t what she expected either, and it actually takes a turn for the worse, despite being amongst the first to get sent for a big swimsuit show. The book was slow at first, but it got pretty interesting once the girls’ adventures start taking a turn for the… shall we say worse in some cases? Definitely an intriguing look at the world of modelling, even if it’s all fictional. Written by an ex-model, Lori Jones, the book is written in a way that you can imagine how real the situations CAN be for models. Treated like commodities, you really would need a good head on your shoulders and some good friends to help you through it all. The sequel follows the lives of the three girls again, only this time it’s sixteen years after their trip to Italy. Find out what happens to each of their lives and how their lives somehow still coincide with each other after all that time. Are you a fan of America's next Top Model and trashy 80's mini-series? This is your book. It centers on three young girls in Milan for the summer to try to make it in the modeling business. Their stories intersect only to the point that they are all from America and room together in a low budget hotel, an arrangement made by their modeling agency. The focus is not their friendship but each girl's experience. Because there are three leads the author is able to dramatize a different aspect of the modeling world. I meant it when I said this book reminds me of a trashy 80's mini-series (in a good way), think of it as a junior version of Lace. The author plays to the more stereotyped pitfalls of modeling; the agent that loses your booking (accidentally on purpose), the sleazy owner who "sells" his models to rich patrons and photographers, and the girl who falls for money and power. This book is filled with juicy plot twists all packed into six weeks summer vacation. What about the characters? They are more caricatures than well drawn out characters and that works perfectly against the backdrop of scheming models and lecherous photographers. Growing up Beautiful is a certified guilty pleasure. I would recommend this book to anyone wanting to escape into another world for a while and I look forward to reading Lori’s next book. Star, Joanne and Casey are three girls who have absolutley nothing in common except for their desire to make it big as models in Milan in the one month they have there with an agency. Star, who is foul-mouthed, occasioanlly obnoxious but probably has a kind heart deep down inside, has an additional agenda: to find her prince charming: a loaded rich man who can take care of her and her mother, and take them out from the slum life they were living back in the US. Too bad her attitude keeps her from getting jobs and the man she thinks is her financial savior has one too many secrets to hide. Casey, naive and gullible, is so overwhelemed by everything, she can't tell the difference between right and wrong, even when right (as in Mr. Right) is standing right in front of her. Joanne, who has an Iny League education waiting for her back home, is quickly the favorite at the agency and gets all the jobs everyone wants-and the photographer they all lust over too. Now that she's in love with him as much as he's loved her since the first time he saw her behind his lens, she can't decide: should she stay in Milan and change the entire course off her life, or go back and lead the path her parents set out for her? 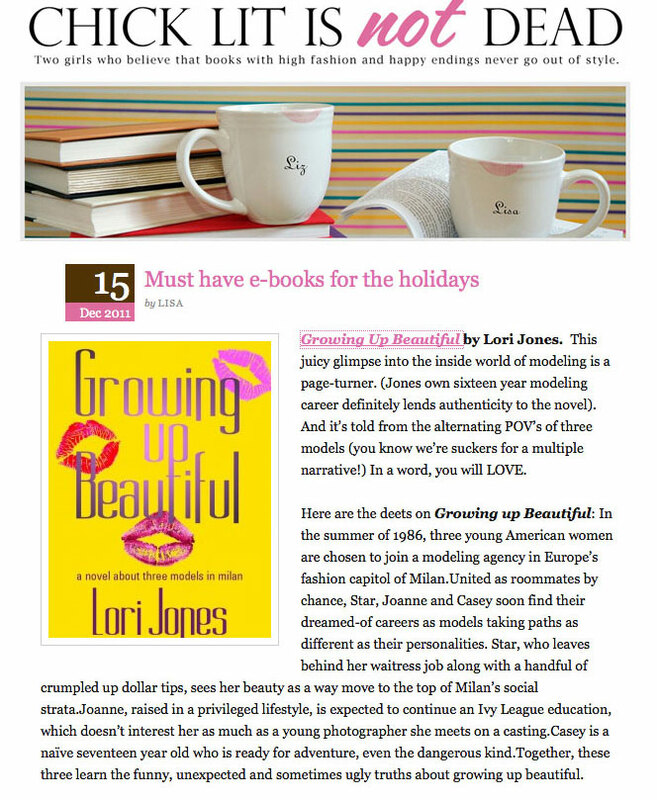 Growing up Beautiful showcases the story behind the glitz and glamour of the world of modeling. This debut novel by Lori Jones features the raw, hard truth of what happens off the runway and off the pages of the glossy magazines, like only a true insider could tell. It's certainly a page-turner. All in all, and enjoyable read for those who have always wondered about the world of modeling. 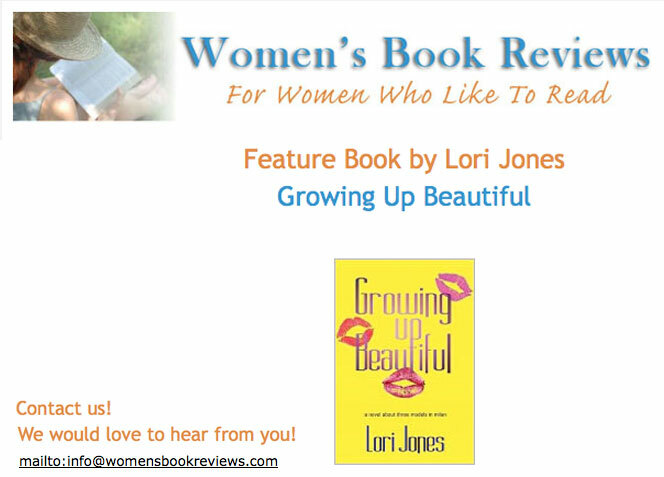 Book Review by Goodreads reader JoAnn B.
I think the Author Lori Jones did a fabulous job writing this novel! I really loved the book. I liked following all of the girls through their adventures in Italy. I connected with the characters. One in paticular reminded me of my daughter. I also really liked the Jason character and how he had the best plan. He was following his dream while knowing what his priorities were. This book is a fast, fun read. I highly recommend it. Can't wait for the sequel! 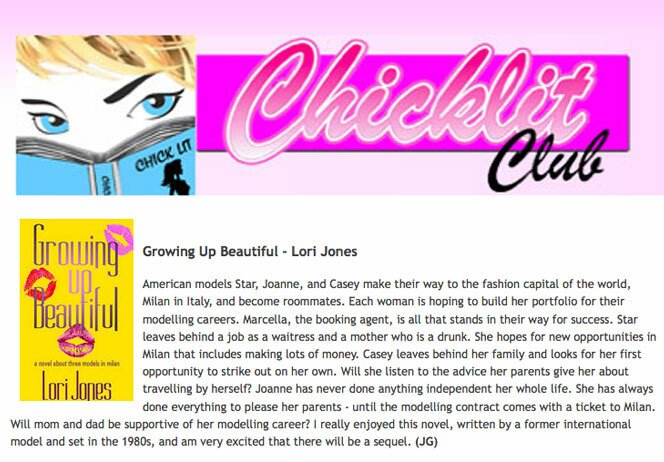 Book Review by Amazon reader, Shannon B.
I enjoyed this story of three young women who travel to Milan with dreams of making it as models. Each girl has a very different experience with the dangers that can face young models: predatory men, competitive women and being on their own in a foreign country. The stories are told from the viewpoint of these three women as they navigate the modeling world finding friendship, betrayal and even love. I couldn't put it down! Book Review by Amazon reader, Eleanor L.
This book is a page turner! I have not been able to put it down since I began reading it! The women in this story are complex and fascinating. The author has expertly woven their stories to where you want to learn more about them, and a world that few of us will ever inhabit! The author also demonstrates the pitfalls of the modeling scene and that beauty does indeed come with a price! I highly recommend this book to anyone who wants an inside look into the world of beauty, modeling and the price that sometimes is paid.